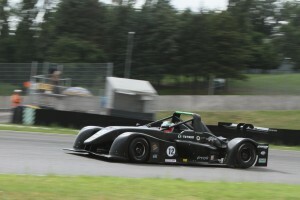 The first fruits of the recently-announced signing of an official agreement for engine supply and technical cooperation between renowned Italian racing car manufacturer Tatuus Racing and Mugen Euro were harvested at Mugello circuit on 10th June. 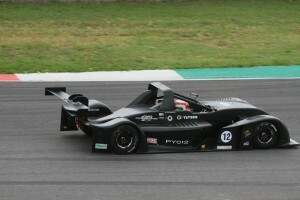 On its debut the brand new Tatuus PY-012 CN Car, with Mugen-Power K20A engine prepared by new associate Autotecnica Motori, and driven by Raffaele Giammaria took pole position and finished in 2nd place in the highly-competitive Italian Sports Prototype Championship, behind an Osella, also equipped with an engine supplied by Mugen.. The aero set-up was not quite optimised for the race and Tatuus Principal & CEO Gianfranco De Bellis has said that his engineers will be on top of this for the next race in which the PY-012 and driver Giammaria are competing. Hiro Toyoda, Vice President of Mugen Euro and Autotecnica Motori Principal Giovanni Delfino were delighted with this early confirmation of the potential of the collaboration and are looking forward to Tatuus again showcasing the Mugen-Power advantage at the Imola Speed EuroSeries event on 23rd/24th June.